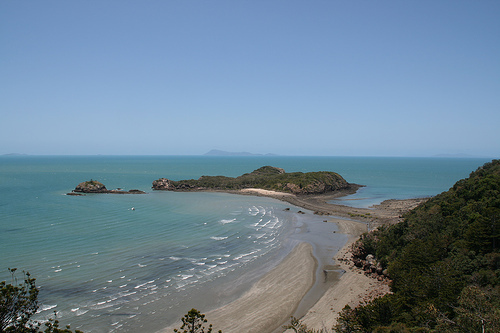 Cape Hillsborough is a beautiful national park. 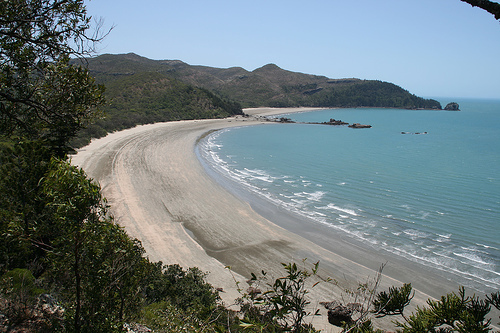 It is a small national park on the coast north of Mackay in Queensland, well worth turning in. It is known for kangaroos that visit the beaches, but there are also some great cliffs, rocky outcorps and tidal rockpools, and great views over the blue ocean. 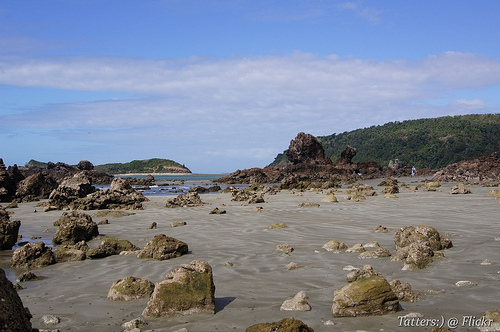 There are short walks to Beachcomber Cove and Andrews Point, through some scrub, sand dunes, subtropical rainforest and eucalypt woodlands with grass trees aka black boys. 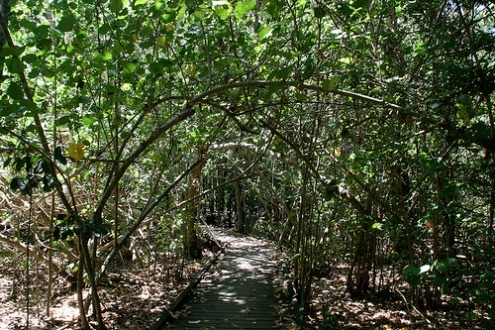 And there is a mangrove boardwalk and an Aboriginal plant trail. From the 300m high Cape, there are some nice views over hoop pines and the tiny Wedge Island - don't get caught there on the high tide! There is a BBQ and picnic area, a camping ground, and a resort to stay. Here's a map of the cape. You can double-click anywhere on the map to zoom it in and see the places closer. Drag the map to move around, and if you want to see the satellite image with Google Earth, click on "Sat" in the top right hand corner.